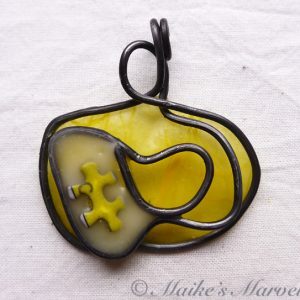 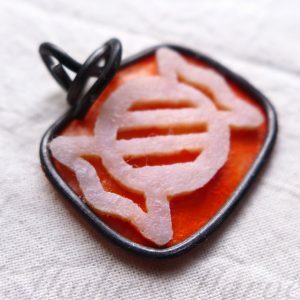 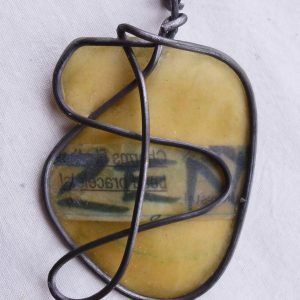 Adorn yourself or a loved one with this beautiful abstract pendant. 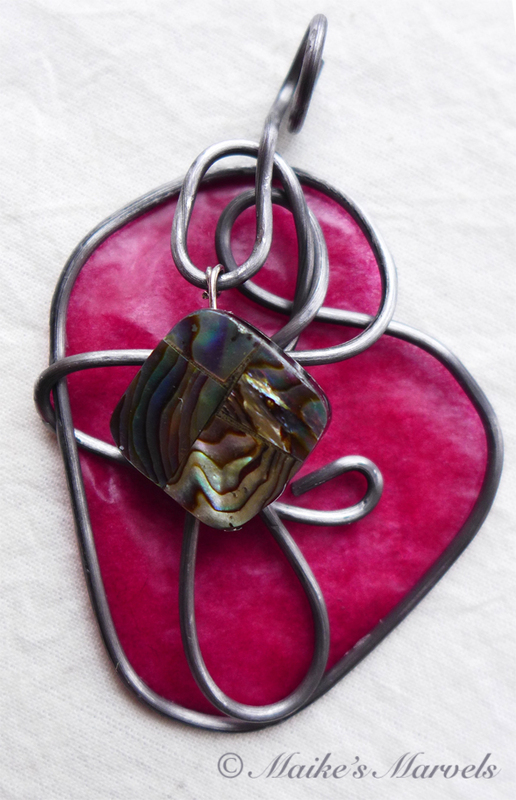 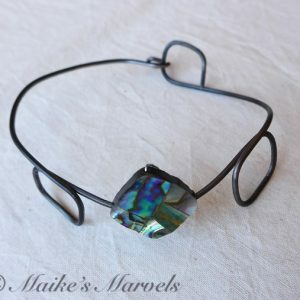 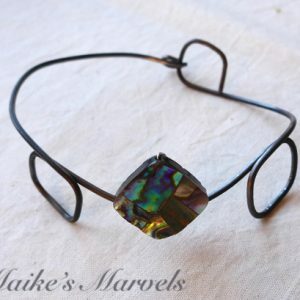 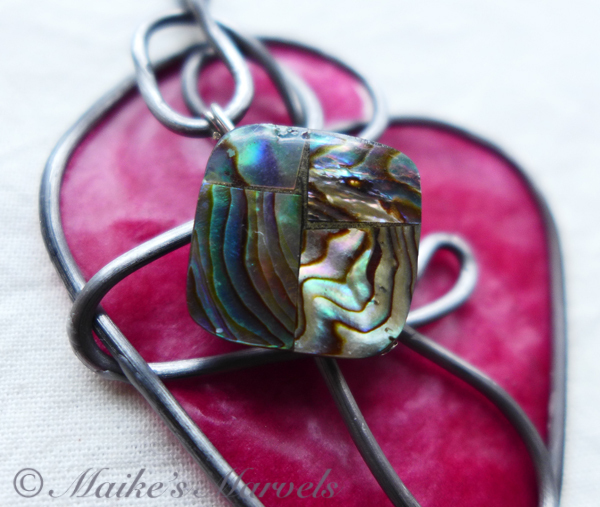 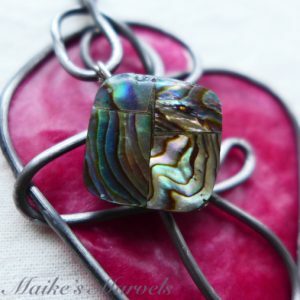 I formed an abstract shape out of 26-gauge steel wire and attached an abalone square onto it for extra sparkle. Then I dipped some burgundy tissue paper into encaustic medium (a beeswax and resin mixture) and adhered it to the shape. 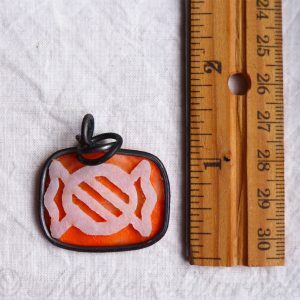 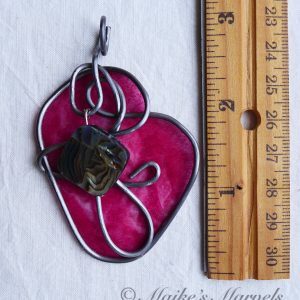 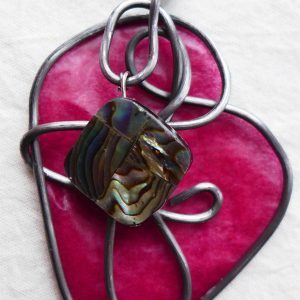 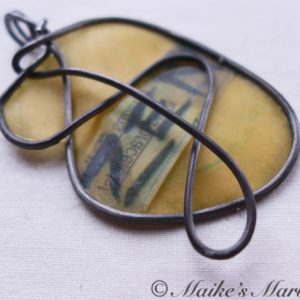 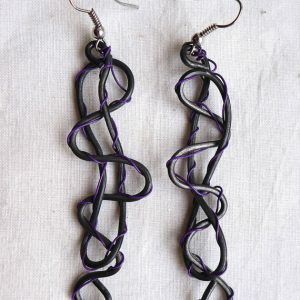 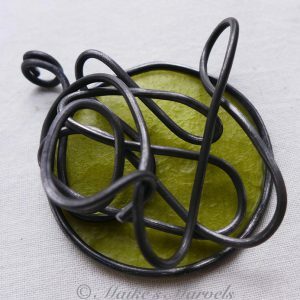 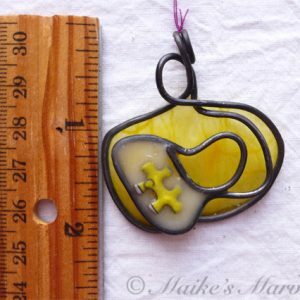 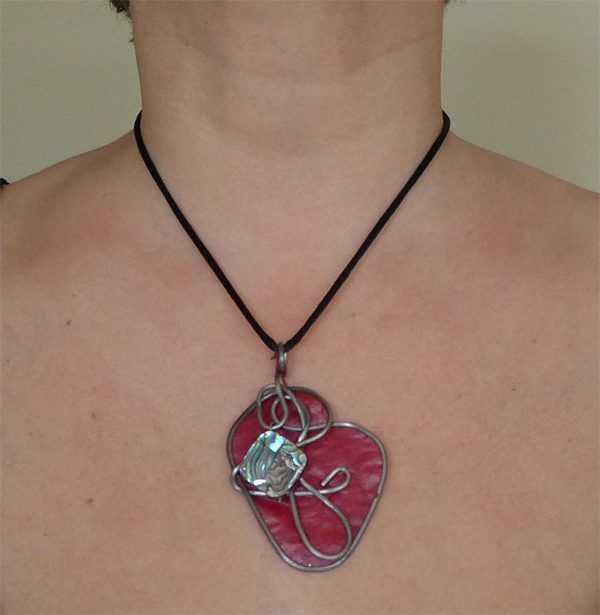 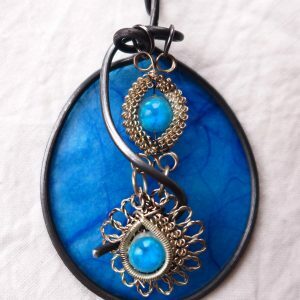 This funky pendant measures 3 inches long by 2 inches wide and comes with a black satin cord.